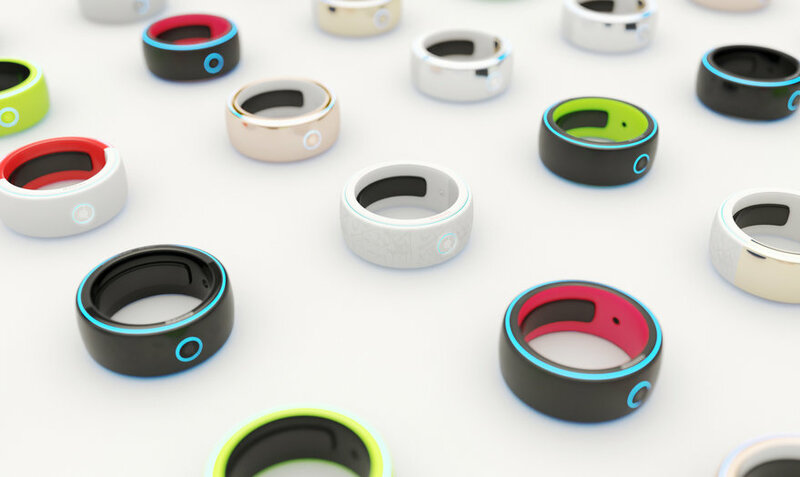 Oxygem is a smart ring that aims to provide people with Sickle Cell Disease a better lifestyle and reduce the amount of deaths caused by this disease each year. 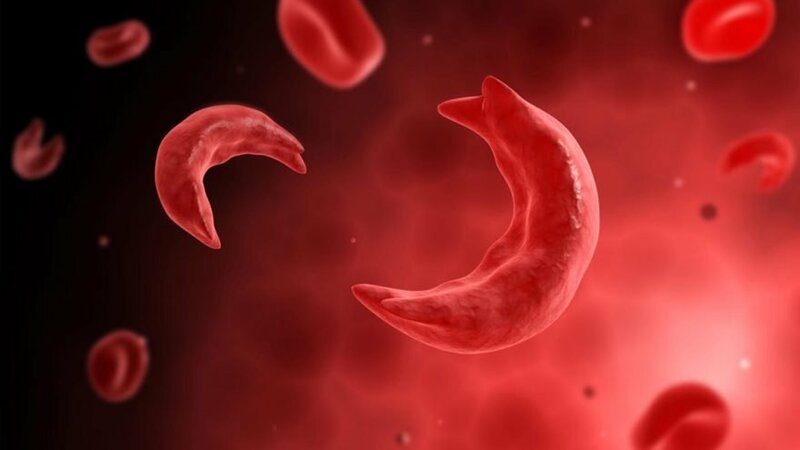 On average, statistics show that in every 1,000,000 people, 1 in 6 people is a carrier of Sickle Cell Disease, and 1 in 25 is diseased, with a death rate of 1 per week. Sickle Cell Disease is a condition in which red blood cells are not shaped as they should be. Red blood cells usually look like round discs. But in Sickle Cell Disease, they're shaped like crescent moon. These sickle shaped cells get stuck together easily, and block off small blood vessels. 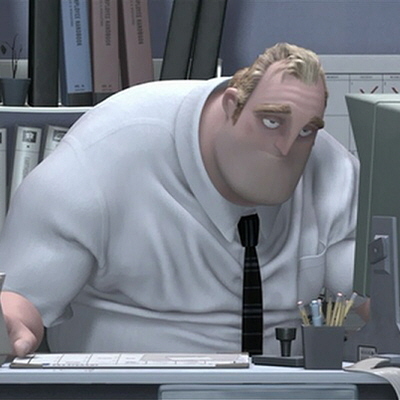 When blood can't get to where it should, oxygen levels drop, which leads to pain and organ damage. Measurement of oxygen saturation (SpO2) can help detect sickle cell crises earlier and prevent their complications. 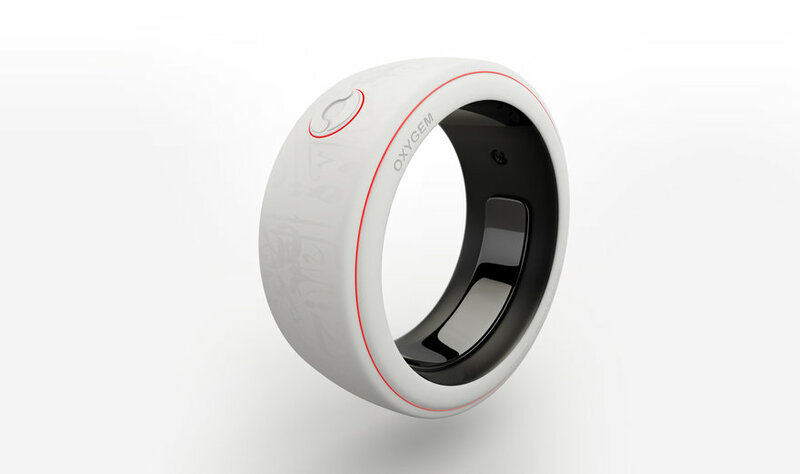 The Oxygem ring aims to track the SpO2 in the blood at all times with its built in sensors, allowing the patient to get warnings and alerts on the ring, as well as notifications on the phone, while also notifying the doctor in case of emergency. 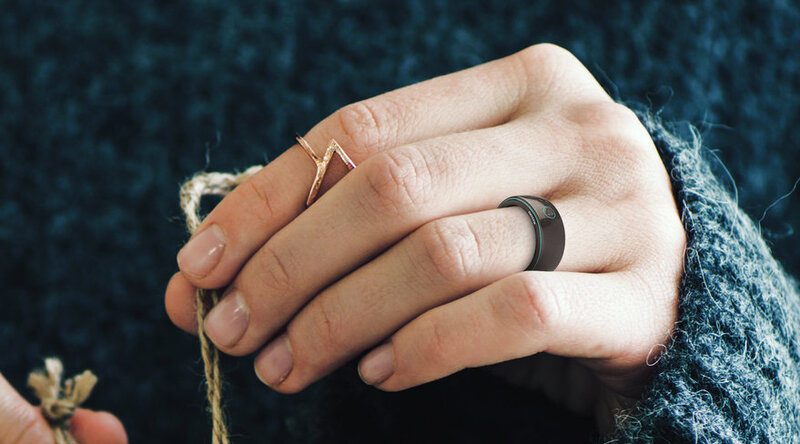 The Oxygem smart ring was built with a human centered design approach, looking at the human body and designing against it, making it a very ergonomic design that fits the users needs. 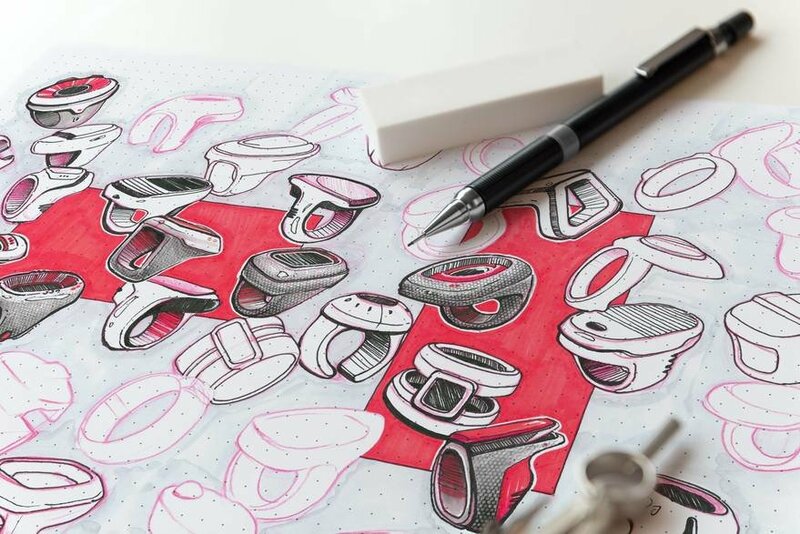 The design first started as an ear piece, and as we worked with a large amount of users and started to test our design, we realized that moving from an ear piece to a smart ring would fit a larger amount of the population without having to customize the design much. 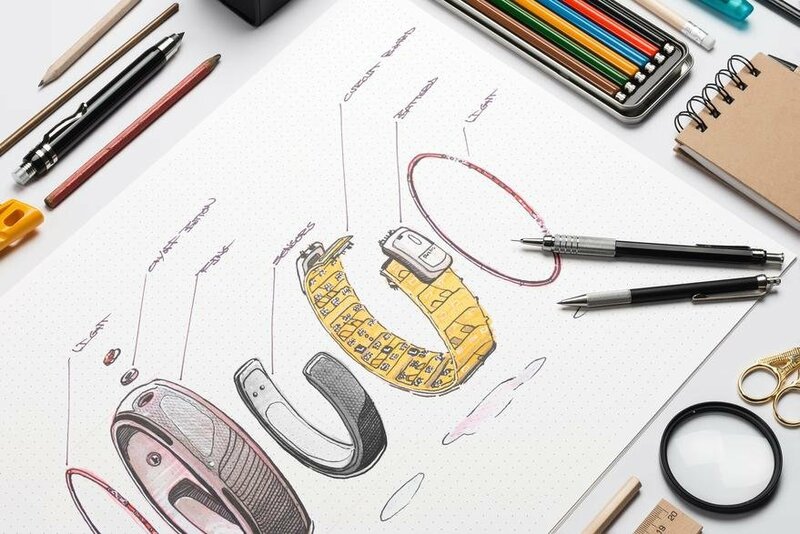 We explored many different prototypes, evaluated them, and kept refining until we reached our final design. 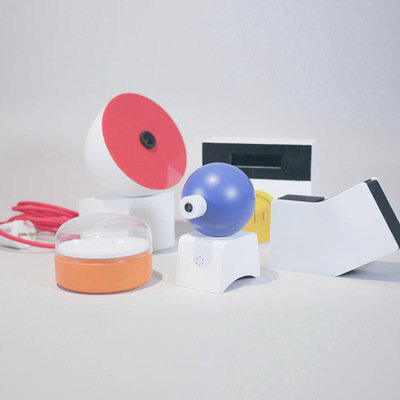 As a result, Oxygem comes in 3 different sizes, Small, Medium, & Large. The Oxygem ring was designed as a lifestyle product that would blend in with every persons style. 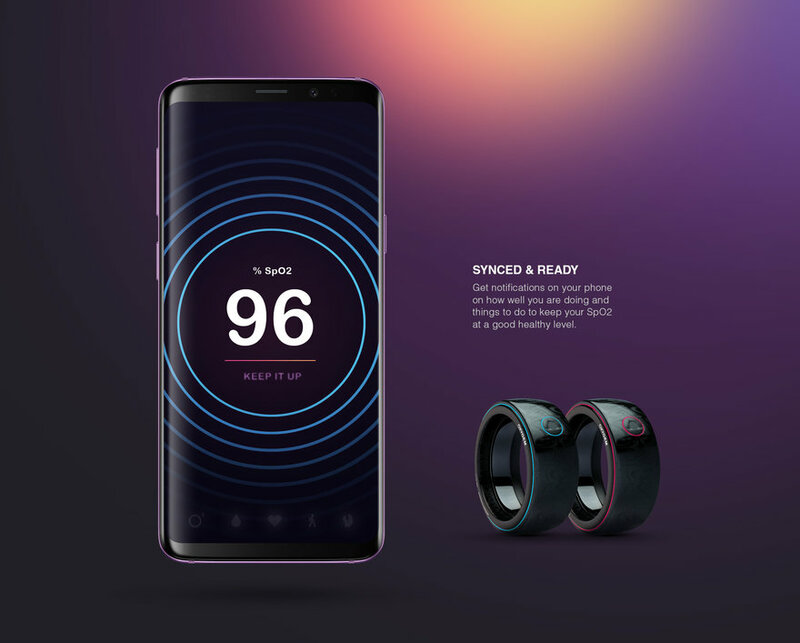 The ring is meant to be a gadget and smart-wear that anyone can wear and benefit from, rather than making the user stand out in society as a person who has a certain disease. The ring has a very minimal aesthetic to it, with a glowing and breathing light that goes across it and changes colors from blue to red indicating how well you are doing, and abstract radial lines showing on the screen to give you certain messages. OXYGEM comes in different colors and styles, to match people of all ages, cultures and styles. It's easy to customize & wear your ring the way you like. However you decide to wear it, you will always be in style. 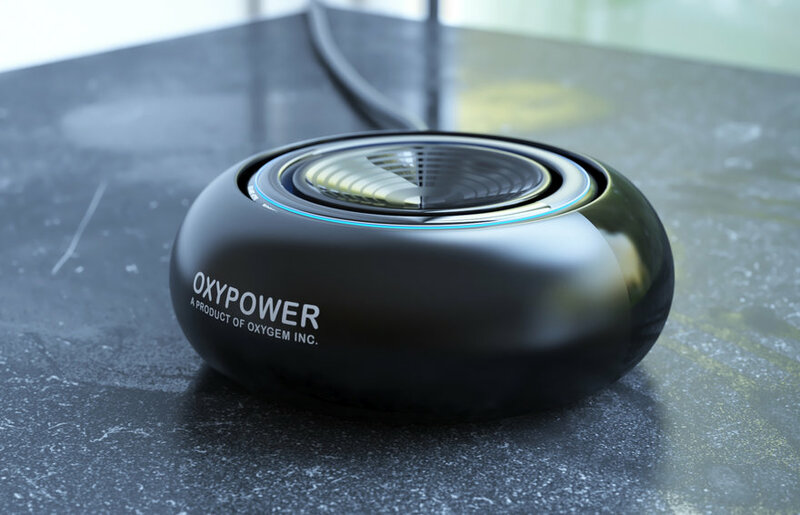 The ring is easy to charge, you just place it in the OXYPOWER unit, and it charges with ease. Pressing the button in the middle of the charger elevates the ring & makes it easy for you to pick up and get on with your day. 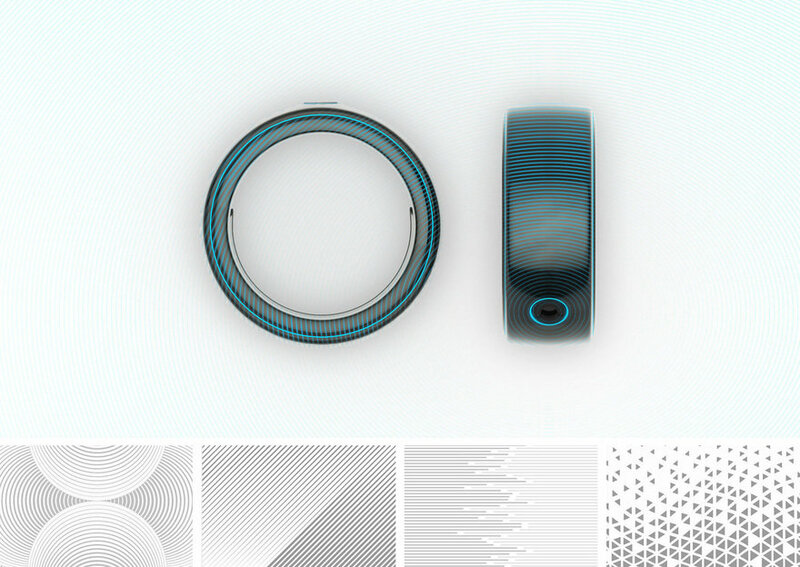 The ring houses an e-ink display all around it, with abstract patterns and shapes animating and lighting up when their is a notification. The different colors indicate the seriousness of the alert. 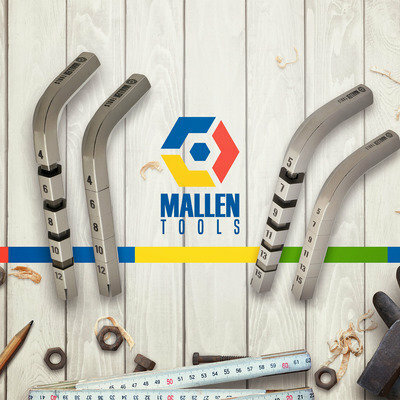 The patterns that appear can be customized through the app as per the users preferences. 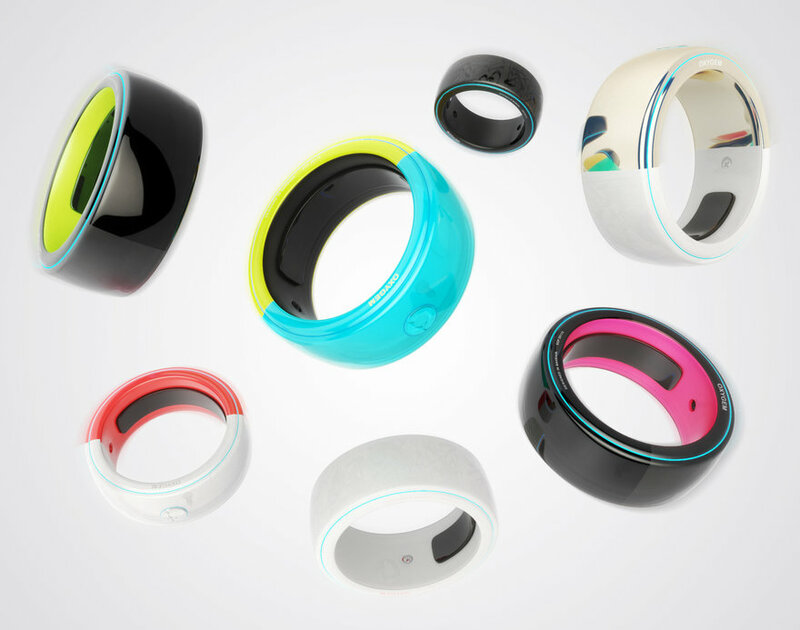 Get notifications instantly on your phone throughout the day, as your ring gets synced with your phone automatically. 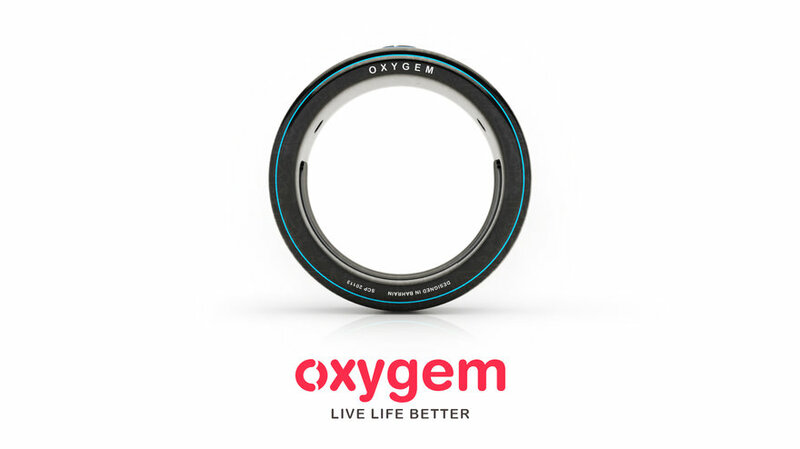 Through the OXYGEM app, you are able to track your SpO2 level, hydration, heart rate, activity, and stress levels. If your numbers fall below what is good, the app will prompt you to do certain actions, such as drinking more water, exercising, and doing things that would raise your SpO2 level. 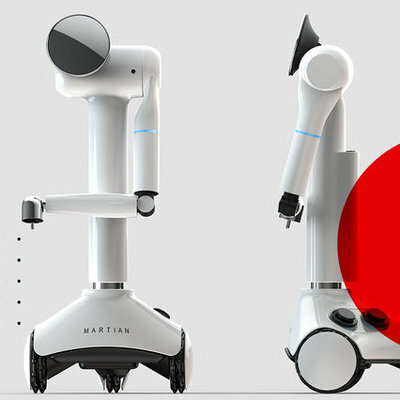 In case of emergency, your doctor will be instantly notified as well.